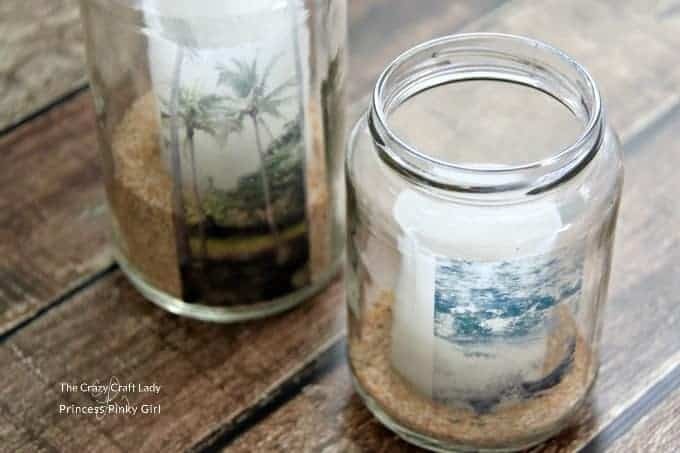 Make a glass jar image transfer craft project. 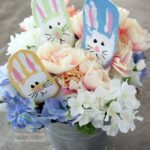 Learn how to easily transfer any image or text onto a glass jar, no special tools or supplies needed. 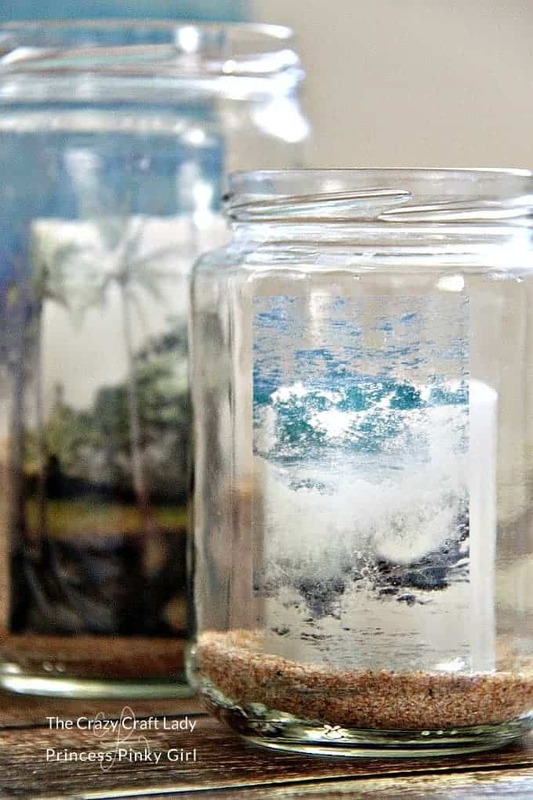 This super simple method for glass jar image transfer crafts will be your new favorite craft! 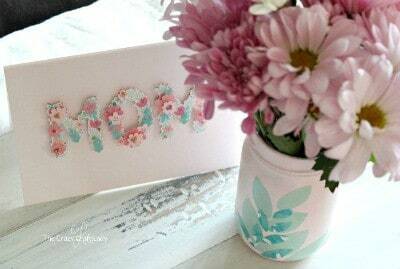 Create adorable mason jar keepsakes, teachers gifts or holiday treasures. Love upcycling projects? 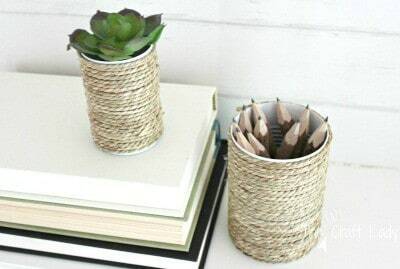 Check out this great round up of other amazing upcycling ideas! Did you know how easy it is to transfer images onto glass? All you need is your image and packing tape! First, clean your glass jars. 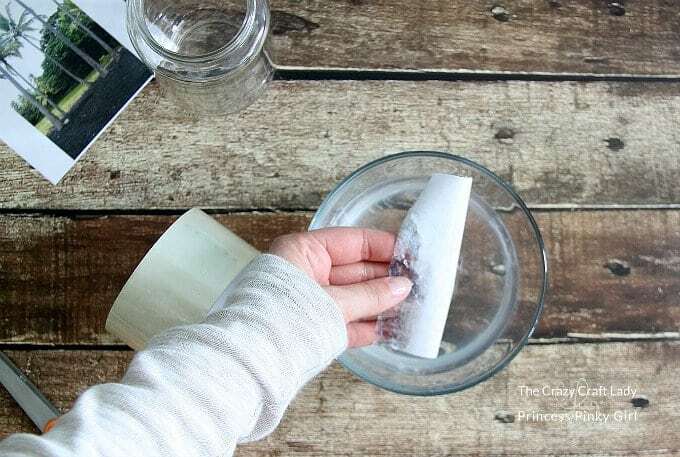 Remove the labels with Goo Gone, and wash with warm soapy water. Or else you can buy Mason jars from the craft store. Skinny, vertical images or smaller images work best. Remember that you are constricted by the width of the packing tape. Print your image on a laser printer, and NOT on an inkjet printer. The printer you have at home is likely an inkjet printer. I usually load my image onto a flash drive and take it to my local printer (think Fedex/Kinkos or Office Max) to print in color. Or else, if you already have a hard copy of the picture, you can go make a color photo copy. Use regular weight printer paper, and not photo paper. There is no need to flip the image before printing it. This needs to be a print out from a laser printer, or regular printer paper with no special edits necessary. Trim your image down to the width of the packing tape. 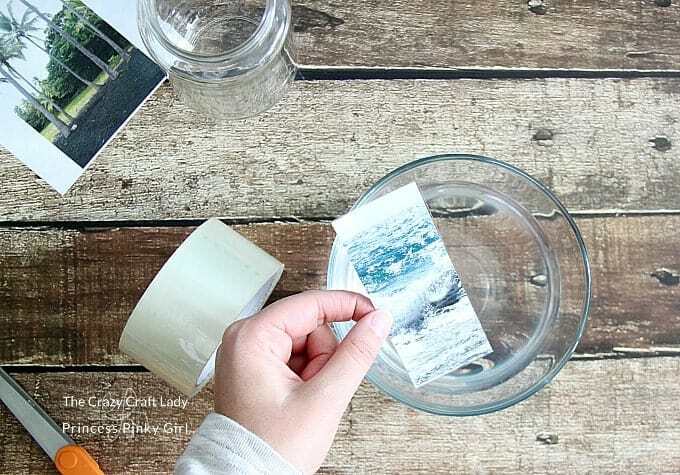 Lay your image flat and smooth a piece of packing tape over the image. Use a bone folder or the edge of a credit card to remove any bubbles. 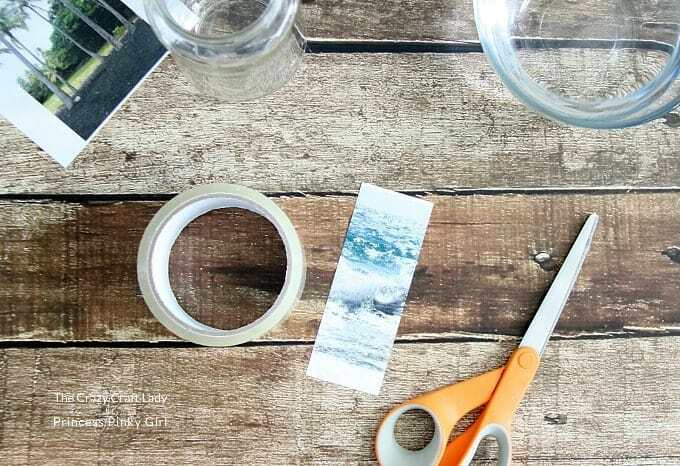 Submerge the piece of packing tape in water. 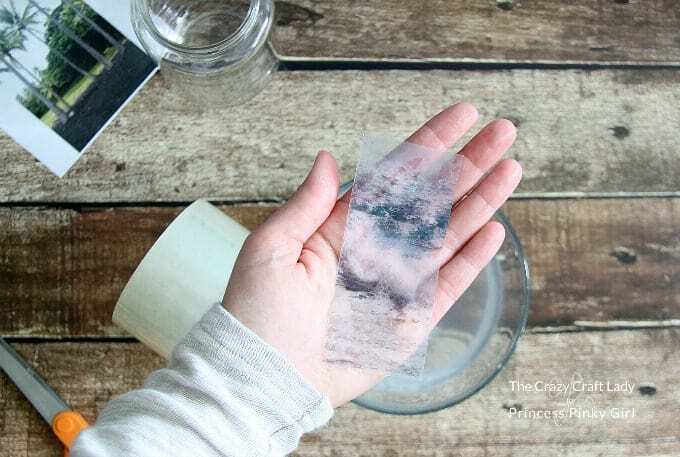 Gently rub away the paper with your fingers, leaving just the image behind. Lay the packing tape sticky-side-up to air dry. Do not dry with a towel. 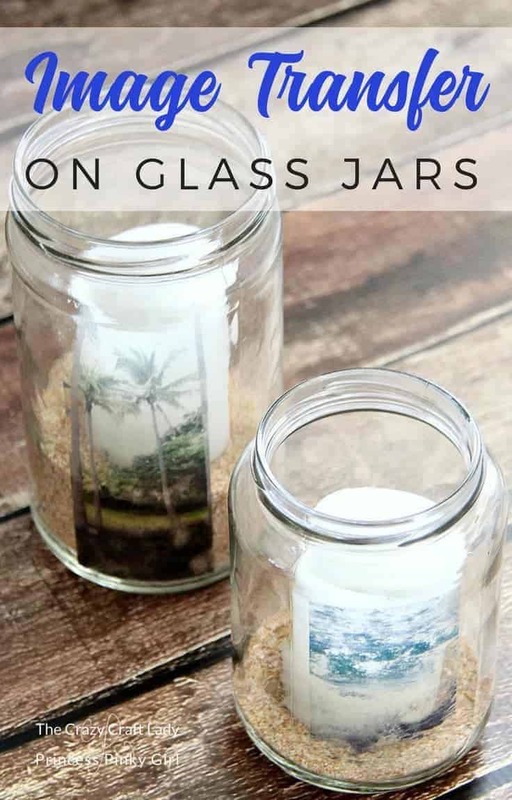 When the packing tape dries, it will be sticky again, so you can just press your image right onto a glass jar. The images are easiest to see when there is something white in the jar, so I added sand and white votive candles. Plus the sand perfectly complimented my beach vacation photos! 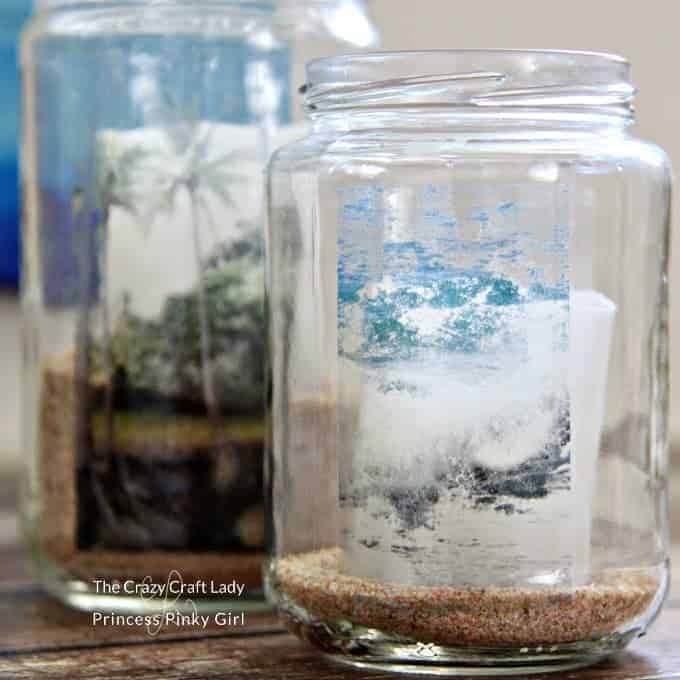 Do you love glass jar and upcycling crafts? This is so nice!❤️ Thank you so much for sharing this wonderful craft! Blessings! Love this! I’m excited to try it with my illustrations! 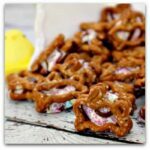 This looks nice.. A very easy technique indeed! I’m surely going to try this with my dull kitchen jars..